Snappii’s Construction Daily Log mobile app is the quickest way to create professional daily reports in minutes. This #1 App is used by tens of thousands of construction companies around the world. Snappii, a leading Mobile Business Apps company with more construction apps than all construction software companies combined, today announced a major update to its popular Construction Daily Log App that is used by 150,000+ foremen, superintendents and project managers all over the world. – One Simple Collapsed Form. App user can quickly scroll down and fill in only the needed section. – The entire daily report process now only takes a few minutes and can be done anytime from anywhere. – Users save 60 min each day per person and can do real work not paperwork. – One easy short form. – Daily reports are easy to share with anybody by text, email, and cloud drives. – Voice to Text. Don’t want to type on device? Hit the mike and speak the report. It translates voice into text. – The app works offline and syncs when the Internet comes back. – Stores Daily reports as PDF files in the App and on Snappii.com so users can access reports anytime from anywhere. – Attach and markup pictures to highlight progress or show problem areas. – Attach any document to any section of the daily report. – Access and share pictures and documents from the app any time. – Track labor hours for employees and subs. Snappii offers many Apps for construction industry to automate bidding, timesheets, inventory management, equipment tracking, inspections and other important tasks done by field employees. The Construction Daily Log app includes contractor details, site information, work performed, subcontractor progress, issues and punch lists, reasons for delays, additional work or change requests, materials purchased and received, labor and travel hours and more. 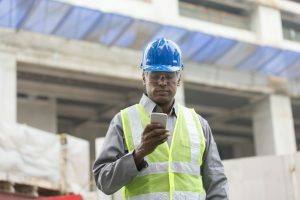 The app captures weather conditions, locations, date and time, amount of labor performed and other field related information anytime from anywhere. Construction Daily Log app is a convenient and easy-to-use mobile solution that will increase company’s efficiency, optimize the workflow, reduce costs and lower deployment risks. Construction Daily Log app is available for free download from Apple and Google Stores and can be 100% customized to specific needs of each company. All Apps are powered by the Ultra Fast, No code Snappii App Platform which enables native App creation and modification 30 times faster than coding by hand and costs a fraction of hiring Mobile Apps Developers. Learn more at http://www.Snappii.com. This entry was posted in Press releases and tagged construction apps, mobile app, mobile construction apps, ready-made apps by Alex Bakman. Bookmark the permalink.